An oil soluble Vitamin C serum with skin firming peptides. A great alternative to water-soluble formulations, even sensitive skins can enjoy the antioxidant protection, brightening and firming effects of this powerful boosting serum. 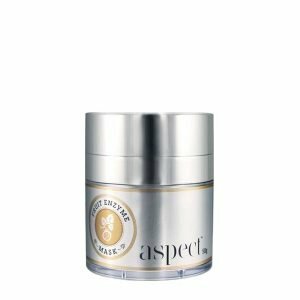 Tetrahexyldecyl Ascorbate - Oil-soluble Vitamin C.Syn-Ake - Peptide complex that refines fine lines.SYN-COLL - Collagen stimulating peptide complex.Pepha-Tight - Skin tightening peptides. Smooth half to one full pump onto skin after cleansing. Use in the morning; serum can be used at night if not using a Vitamin A (retinol) product. Water, Glycerin, Panthenol,Tetrahexyldecyl Ascorbate, Tocopheryl Acetate, Epilobium, Angustifolium Flower/Leaf/Stem Extract, Lecithin, Algae Extract, Pullulan, Lactic Acid , Palmitoyl Tripeptide-3, Dipeptide, Diaminobutyroyl Benzyl-Amide Diacetate, Caprylic/Capric, Triglyceride, Terminalia Ferdinandiana (Kakadu Plum) Fruit, Extract, Rosmarinus Officinalis (Rosemary) Leaf Extract, Urtica, Dioica (Nettle) Extract, Calendula Officinalis Flower Extract, Sambucus Nigra (Elder) Flower Extract, Gallium Aparine, (Cleavers) Extract, Arctium Lappa (Burdock) Root Extract, Lavandula Angustifolia (Lavender) Extract, Wasabia Japonica, Root Extract, Oryza Sativa (Rice) Bran Oil, Xanthan Gum, Sclerotium Gum, Potassium Sorbate, Citrus Aurantium Dulcis, (Orange) Peel Oil, Citrus Tangerina (Tangerine) Peel Oil, Citrus Grandis (Grapefruit) Peel Oil, Tetrasodium Edta, Phenoxy-Ethanol Ethylhexylglycerin. May Contain: Disodium Edta, Iodopropynyl Butylcarbamate, Polysorbate 20.